So, yesterday this amazing thing happened. 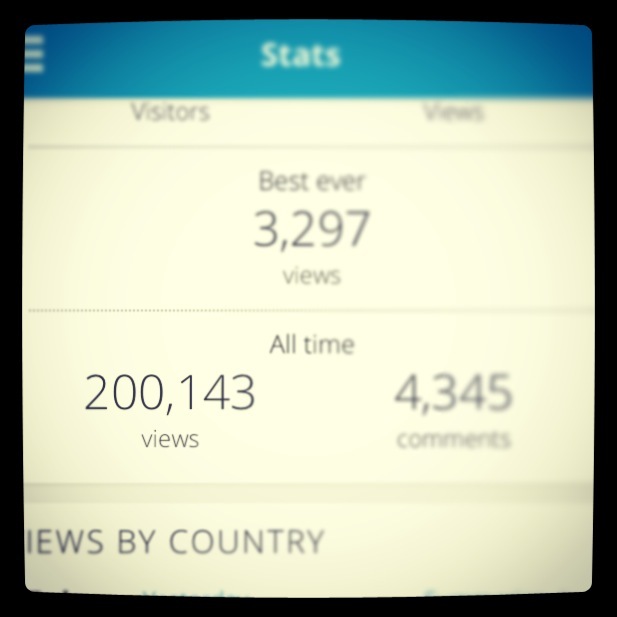 My blog visitor count clicked past 200,000. I know, right? Totes awesome. Wowzers! A-mazing. And it’s all THANKS to each and every one of you. I’d bake you all Nutella sea salt fudge and give you a kiss if I could. But I’m on day 6 of my cleanse and if I go near Nutella I may dive head first into the jar. So here’s your virtual kiss *mwah* and here’s to the next 200,000. Today, another amazing thing happened. My Little Sister completed a 31 day challenge at her gym. I’m sure she won’t mind me sharing here that in the 31 days she did: 17 hours cardio. 8 hours weights. 2 hours core work. 4.5 hours stretching. 292 glasses of water. No alcohol, caffeine, sugar, or white carbohydrates. Every gram of food weighed. Every macronutrient recorded. 5.2 kilos lost. What’s her next plan? Have a mocha, eat some cake and drink a beer! All exceptionally well deserved I think. Little Sister you are an inspiration. Your strength and determination – not just in the past 31 days, but for the past 30-something years – are something to aspire to. You really are the apple of my eye. And you always will be. We are all super proud of you and love you to the moon and back. Infinity. All this healthiness and cleansing is putting me in the mood for a big bowl of Lucky Charms cereal. Just sayin…. Congrats! You are loved and loving.